Licensed for Xbox One, the XO Three headset is one of a kind. Released on July 17, 2017, the XO Three provides great sound. With large 50mm over-ear speakers, the headset has 56% more surface area compared to other headsets of 40mm. The detachable high-sensitivity mic has a cool rugged design. The fabric wrapped ear cushions ensure a discomfort-free experience. The gaming headset originally designed for Xbox work on PC. However, there may be issues with the mic. For compatible windows 10 PCS, the PC should have two ports for audio & mic. In case the PC has one port an adapter can still be used. With distinct top-notch sound, listening to music is a thrill. Games, movies and music sound better with the windows sonic. Surround sound can be achieved via windows sonic for headphones on windows 10. Users with compatible windows 10 PCS can take advantage of this. Lines control place master volume and mic right at your fingertips. 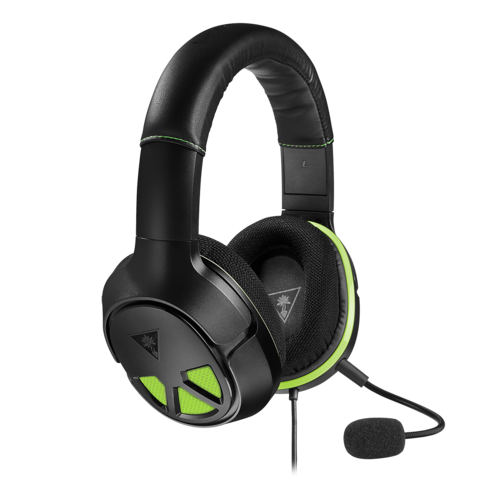 Turtle Beach Wired Ear Force XO Three Wired Headset is most convenient for its versatility. For PS4 consoles and also mobile devices with 3.5mm jacks, the XO Three works perfectly. The company has tried to make the headsets as useful as possible. The Turtle Beach Wired Ear Force XO Three Wired Headset, however, has its drawbacks. First, the headsets are loose fitting for comfort hence, preferable for gaming. However, while jogging they would slip off. Also, the headsets are bulky compared to Bluetooth headsets. While gaming one wouldn’t really mind but while taking a walk it could be bothersome. The headset is at top-notch performance despite its few shortcomings. With its affordable price and quality, it’s worth it. There’re cheaper headsets but many have issues with performance and quality.